Can you start a business with little or no money? 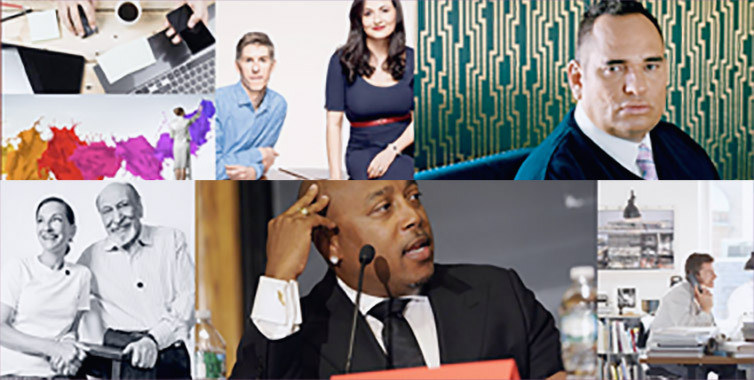 According to these successful entrepreneurs, you can. Starting a business and one of the aspects that entrepreneurs find most daunting is raising start-up capital. Gone are the days of pitching investors with hot new technology ideas. Today, entrepreneurs are much more likely to dive into their own pockets and hunker down for a battle to start up and stay alive. But if you don't have the cash in your wallet, what do you do? Luckily, there are still options for funding new companies, but finding and securing the cash will take careful research, good negotiating skills, and, above all, an unflagging commitment to launching your new business. Start your capital search with a good business plan that shows investors and lenders your company's potential. Follow that up with a thorough knowledge of the resources available and a determination to make your business a reality, and you should be on your way to uncovering a source that fits your new business's cash needs. Small-business expert and former Inc writer Tom Ehrenfeld discusses the various financing options entrepreneurs have in this excerpt from his book, The Startup Garden. Small-business finance expert and former Inc finance editor Jill Andresky Fraser explores 20 ways for financing a business in this 1999 article. Some represent ways to finance new start-ups, while others help established businesses find working capital. Though funding isn't as easy to secure as Jill Andresky Fraser mentions in this 1998 Inc classic, the article does offer an overview of some resources that entrepreneurs frequently pursue, including private-equity investors, banks, venture capitalists, and non-banks. Don't miss the common pitfalls to avoid when seeking capital. Profiles of seven entrepreneurs who transformed start-up capital of $1,000 or less into companies with revenues of $1 million or more. Starting businesses with little or close to no money at all seems to be the norm for many recent Inc. 500 companies. According to the class of 2002, you don't need a whole lot of money to start a business. Many of the 2002 CEOs launched their businesses with $10,000 or less. And more than a third of those bootstrappers started with less than $1,000. When it comes to the 2002 Inc 500, start-up capital is not the leading predictor of success. No cash? No customers? That didn't stop the founders of these 2000 Inc 500 winners. Tapping personal ties to raise cash for a company that's either too new or too small to get financing elsewhere is an age-old formula that still makes sense. But here's one risk too big to ignore in today's highly competitive capital marketplace: if you don't follow professional standards in structuring and documenting "F&F" loans or equity arrangements, your sloppiness will likely come back to haunt you. That's because if and when your company grows to the point at which it can credibly approach banks or professional investors for funds, their lawyers will examine your corporate capitalization structure with a fine-tooth comb. Hitting up family and friends is the most common way to finance a start-up. It's also the riskiest. Bank financing isn't impossible. Use this advice to increase your chances of securing a bank loan. Help lenders understand your industry to improve your chances of securing a loan. Whether your business is struggling, or making money hand over fist, it's important that both situations be communicated to a lender. Why lenders focus on it and what you need to be prepared to discuss. Tough economies and easy credit usually don't mix. So why are banks falling all over themselves to lend small businesses money? Nontraditional lenders are emerging as a real alternative to bank financing for growth companies. Think the most you can expect from a bank is a line of credit? You might be missing out on the emergence of banks' private-equity arms. Accepting a loan from the most respectable source of business financing -- a commercial bank -- is a mistake for some entrepreneurs. When trying to get a loan, it helps to view things from the lender's perspective. Some entrepreneurs say government programs are easy to secure financing from; others say steer clear of them. Regardless of the opinions, if you're serious about your capital search, you shouldn't overlook government programs and the U.S. Small Business Administration (SBA). A look at the Small Business Administration's rankings of the best field offices turns up some surprises. The agency's western outposts tend to outperform their East Coast peers. Though the rankings are based on a number of factors, the chart below follows the money, listing offices' key lending statistics. Where can you find cash in a credit crunch? OLI Systems Inc., a New Jersey software company, looked to the government's National Institute of Standards and Technology for funding. Angel investors are getting tougher. To land seed money, you should, too. Here are some profiles of a select group of angel investors, including links to their websites. Here are a number of high profile angel investors and what they consider to be good investments. Who exactly are angel investors? Guy Kawasaki defines angel investors, and when and how an entrepreneur should seek them out. Rhonda Abrams shares her views on the kinds of businesses that attract angel investors. Funding for entrepreneurial businesses has completely dried up, right? Wrong. Angel investors -- long a tried-and-true source of capital for young businesses -- have not hung up their wings. Any entrepreneur who hopes to raise capital from individual investors, so-called "angels," should be prepared with a presentation, business plan, list of potential angels, and outline of the opportunity his or her new venture affords. By opting to keep her high-tech start-up, Thermagon Inc., in Cleveland, founder Carol Latham was able to leverage her local ties to build a sophisticated network of investors and employees. Need help getting started in your search for angel funding? Here's a directory of angel networks in the United States, broken down by geographical area. Banks and investors aren't the only ways to fund a business. Check out these unconventional resources that some business owners have used. Business-plan competitions tend to draw cutthroat b-school students. But entrepreneurs with lofty social goals are also increasingly entering the fray--and winning. Once academic exercises for eggheads, college business-plan contests now offer competitors the chance to win sizeable chunks of cash and launch a business. No surprise: Entrepreneurs have begun to horn in on the action. Use your first customer to help fund your new business. Tap into your retirement kitty to fund your business venture. The secret to funding a start-up, one owner learned, is to tap every capital source you can. Half of all start-ups are financed with credit cards. But be careful: Sky-high interest could bury you for years. Financing your business on credit cards may save time and allow you to keep business expenses separate from personal ones. But without careful management, credit cards can quickly put your start-up on the sidelines. Starting a business usually involves committing personal finances. To fund the business and keep a roof over one's head, the entrepreneur must maximize assets, minimize expenses, and use credit judiciously.